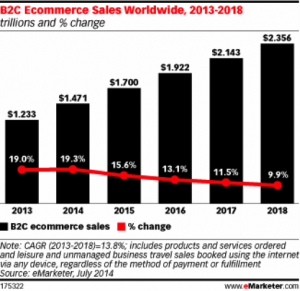 We live in the era of e-commerce, with B2C e-commerce sales on pace to reach $1.7 trillion in 2015. It’s never been easier for businesses to reach consumers and many consumers now demand an online shopping experience. As a result, the traditional organization of many industries is changing. Businesses that once operated purely on a B2B or catalogue basis are now trying their hand at selling directly to consumers. Many have found success with this strategy, increasing their margins and giving their brands greater visibility. But others have stumbled, unaware of the unique challenges presented by digital commerce. Many businesses find that the transition to B2C requires a major website migration. Either they need to create an all-new e-commerce site or they need to consolidate many disparate sites onto one domain under a single brand umbrella. Even in situations where a migration is well advised, it’s still possible to bungle the execution – and many businesses do. Those that fail to properly redirect all the pages on their old sites to their counterparts on the new site can suffer calamitous drops in organic traffic. That’s because all of the SEO value that those old pages accrued isn’t getting passed on to the new pages and as a result they aren’t showing up in Google as high as the old ones used to. Before embarking on any site migration, make sure your in-house team has a grip on the 301 redirects needed to pull it off, or hire an expert who can help. Many B2B sites are unfamiliar with all the nuances of conversion optimization. They’re used to providing information for web-savvy retailers and aren’t used to designing a site that pushes visitors toward a conversion. Too many businesses launch a new e-commerce sites that don’t convert traffic because they aren’t aligned with best practices. B2B marketing tactics can differ significantly from effective B2C tactics. Often B2C marketing involves completely different channels. These differences catch many B2B companies off guard when they try to make the change over to B2C. Companies need to take time to identify their new customers and develop a coherent customer acquisition strategy that speaks to them through the channels they already use. This strategy will have to be tested and refined once you figure out which channels work for you and which aren’t converting. Once effective channels have been identified, they need to be monitored and optimized. Too many businesses that have no experience with online advertising simply turn on their campaigns and then forget about them. Not only does this mean that they aren’t reaching their full potential, but they are likely wasting massive amounts of money on keywords that aren’t relevant or people who aren’t interested. The pitfalls detailed above are common mistakes companies fall into, but they aren’t inevitable. Here are some tips for making your transition from B2B to B2C a successful one. Before doing anything, perform keyword research that can give you insight into what people are searching for and guide your entire strategy. Even if you are remaining in the same vertical, the words consumers use to search are probably different from those used by other businesses. If you are migrating to a new site, make sure there’s someone on your team with SEO knowledge, particularly when it comes to 301 redirects. Consider hiring a consultant or agency to help manage this process and ensure nothing falls through the cracks. 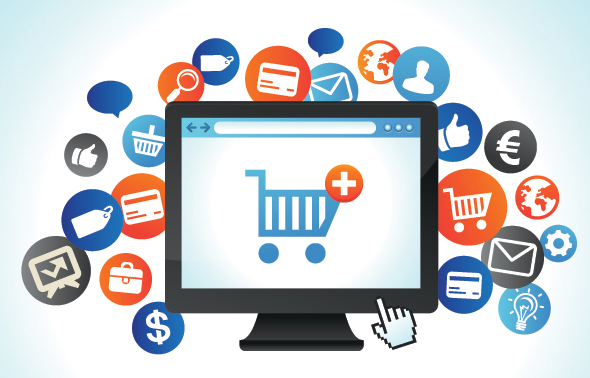 Make sure your new e-commerce site is in line with industry best practices. It should have a clear navigation and and a design that pushes people through to conversion. SEO and development are important, but don’t forget about user experience too. Develop and implement a multi-channel customer acquisition strategy. This could include organic search, paid search, display, retargeting, social media advertising, and more. Use a small amount of spend to test the viability of each channel and then develop a more long-term strategy based on the results. Also consider starting an affiliate program to reach new customers. Services such as our RAMP™ platform give new merchants access a pool of high-quality, trustworthy affiliates. If you don’t feel comfortable managing your transition to a B2C site by yourself, don’t hesitate to reach out to the experts. Acceleration Partners has helped dozens of businesses improve their e-commerce operations and convert from B2B or catalogue-based companies. Learn more about our digital strategy services.